Eat one, then two, and then a whole snack-sized daily portion of exercise to battle stress and burnout and improve overall health. When is the last time you opened up a bag of chips and ate just one? Once you eat one, if you’re like most people, you will then want 2 or 3 and then maybe the whole bag. In 2019, it’s time to embrace the idea of snack-sized portions of exercise spread throughout the day, because like a potato chip, once your body gets a taste, it will want more. For decades, we’ve been sold memberships and classes with the idea that we need 45-60 minute workouts or it just wasn’t worth the effort. We’ve also convinced ourselves that a short run or bike ride just wasn’t worth the time. In this “all or nothing” mindset, the choice to exercise can feel hard and it’s too easy to say ‘not today’, especially if someone is super busy or struggles with limited mobility due to an injury, disability, or chronic health condition. The great news is that research shows that peppering mini-workouts, especially burst of vigorous exercise, not only counts, but it can play a significant role in reducing the risk of, or preventing, chronic disease. For the first time in 10 years, the U.S. Department of Health and Human Services released new Physical Activity Guidelines for Americans, once again calling out just how short many of us fall in maintaining a physically active lifestyle (80 percent failure rate to meet the minimum requirement to fight preventable disease). Previous guidelines suggested that physical activity had to occur in bouts of at least 10 minutes. However, the new guidelines demonstrate that even a brief episode of physical activity, like climbing up a few flights of stairs, counts towards counts towards your total volume of physical activity for the day. The new guidelines call for 150 to 300 minutes of moderate-intensity exercise or 75 to 150 minutes of vigorous-intensity physical activity each week, along with at least two days a week of muscle strengthening exercises. Adults with chronic conditions and disabilities, who are able, are encouraged to follow the same guidelines and to avoid inactivity if they can’t meet the guidelines. Even if you are starting from a deconditioned or inactive state, it’s never too late to start being physically active. Wielding exercise as medicine, even hospitals are increasingly focusing on movement, even in the ICU where researchers have demonstrated that physiotherapists can safely start in-bed cycling sessions with critically ill, mechanically ventilated patients early on in their ICU stay. In fact, the research showed that ICU patients who start in-bed cycling two weeks into their ICU stay could walk farther at hospital discharge. Exercise has also been shown to improve cardiovascular fitness, muscle strength, body composition, fatigue, anxiety, depression, self-esteem, happiness, and several quality of life factors in cancer survivors, which is why leaders like Stanford Health Care are focused on helping cancer patients stay active during cancer treatment and have created opportunities for patients to move more during their hospital stay. Approaching exercise as snacks opens up plenty of opportunities where you live, learn, work, and play. You can start with small light intensity exercise snacks and gradually increase your intensity and portions over time. Someone fighting fatigue due to depression or an autoimmune disorder will start in a very different place than a triathlete recovering from a torn ACL. In addition, a lifelong runner with aching arthritic knees will snack on exercise in a much different way than someone with healthy joints. The trick is to find a bag of exercise snacks that fits your life, meets you where you are in your current state, and doesn’t create barriers. Also recognizing that maintaining a healthy lifestyle and embracing exercise as medicine is a marathon and not a sprint. Perhaps it’s squats while brushing your teeth, placing resistance bands in your suitcase, keeping exercise equipment under your desk, performing body weight exercises during typical sedentary moments, or buying home exercise equipment you can use while watching TV. Little life hacks like drinking more water will force you to move more and sit less (mother nature calls after all). You can also set timers on your phone to move and when the alarm goes off, engage in some form of exercise whether it be a short intense burst of lifting weights, simple “motion is lotion” movements for healthier joints, or bouts of yoga or Tai Chi. Even consider exercising in bed to kick off your day by cycling your legs. If looking for the ultimate payback for exercise snacks, explore high intensity interval training (HIIT) breaks throughout the day to get the maximum benefit with the least amount of time used to get those results. This will cause your heart to pump fast and your metabolism to jump, which you want if you are planning on losing fat. Your metabolism will stay at that high not only during the workout, but after the workout as well. 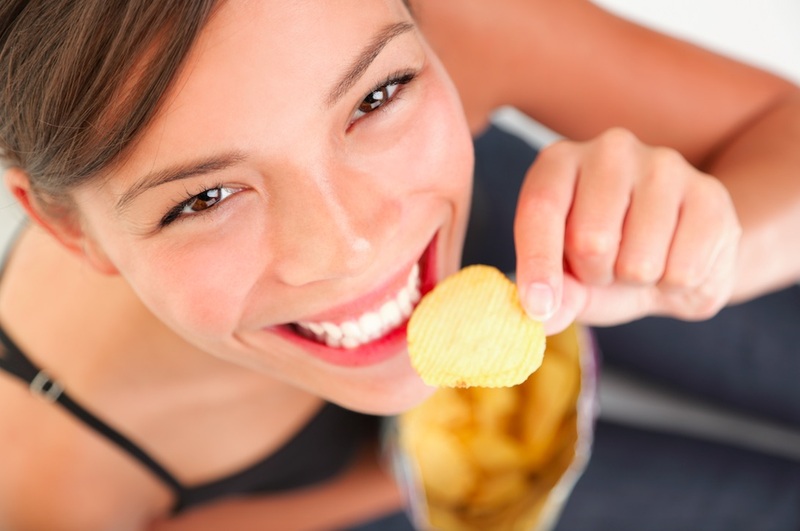 This means that your body will be burning fat for hours after finishing your exercise snack. For advanced exercisers, perhaps a Tabata approach with high-impact, high-intensity body weight exercises might be the answer, but those who need low joint impact exercises or are less fit, can also benefit from HIIT. For example, research has shown that short bursts of vigorous exercise with Parkinson’s disease may work even better than longer sessions of moderate activity. The trick is to find whole body exercises that are quick and convenient where intensity can ramp up over time, sometimes that will involve using equipment like an exercise bike, elliptical machine, resistance bands or weight machines. Isometric exercises can also be a fantastic and convenient way to increase strength. Inviting friends, family, and co-workers to snack on exercise with you can only add to the fun and help keep you motivated. Obviously, there’s no shortage of ways to exercise, yet so few of us squeeze it in even though we know it is one of the most important actions that we can take to improve our health and prevent disease. As our busy lives frequently require us to multi-task and cram more into an already hectic schedule, snacking on exercise can be the easiest and most convenient way to fit in a serious workout even when you have almost zero time. If the health benefits aren’t enough, find your why. Take a deep pause and really ask yourself why you want to be healthier. Is it to have energy to play with your kids, to fit into a pair of jeans, to be more productive at work, to sleep better, to prevent the progression of a disease, improve brain health, or something else? Find reasons that are meaningful to you and make the choice personal, which will make decision to exercise easier. For my entire adult life, exercise has been a struggle for me. My exercise routine consisted of weekend warrior activities of mountain biking, skiing, hiking, and playing as a family. But during the week, I was averaging about 2,500 steps after working at a desk all day. In my early 40s, I was on a crash course with a genetic pathway of heart disease and a broken leg with a blood clot prompted me prioritize my health. But I didn’t have time to go to a gym and couldn’t overcome boredom barriers of exercising in my basement. Instead, I embraced micro workouts and high intensity interval training. For nearly four years, I have been focused on snacking on full body exercise workouts throughout the day with a goal of 70 to 120 minutes of moderate to vigorous exercise throughout the week. This approach has included tiny 30-45 second upper and lower body cycling bursts before coffee to wake up, quick intense burst at my desk to get my heart rate to 120-145 BPM when my Apple Watch prompts me to move, short 60 second strenuous resistance training, and 15 to 20 minute HIIT aerobic and anaerobic workouts while watching TV with my family in the evening. For the HIIT routines, I typically bite those off in small 7-minute chunks. All this totals to 20 minutes of cardio and strength training 5 to 6 days per week while at home, work, or on the go. As a busy mom, entrepreneur, wife, daughter, sister (the list goes on), this approach helps me use exercise to battle stress, burnout, fatigue, and a family history of heart disease. Now 45, I feel like I’m close to being in the best shape of my life, but more importantly, exercise snacks have helped me maintain fitness with an injury that prevents me from running more than 1.5 miles without severe pain. So, the next time you only have two minutes to exercise and wonder if it’s worth the effort, the answer is “health yeah” it is! Snack away multiple times per day until it adds up to your daily goal because it’s the healthiest form of snacking there is. Michele Mehl is the founder and CEO of Excy, a Seattle-based startup focused on eliminating the exercise barriers of health condition, injury, time, and space to help people conveniently connect exercise to their everyday life.